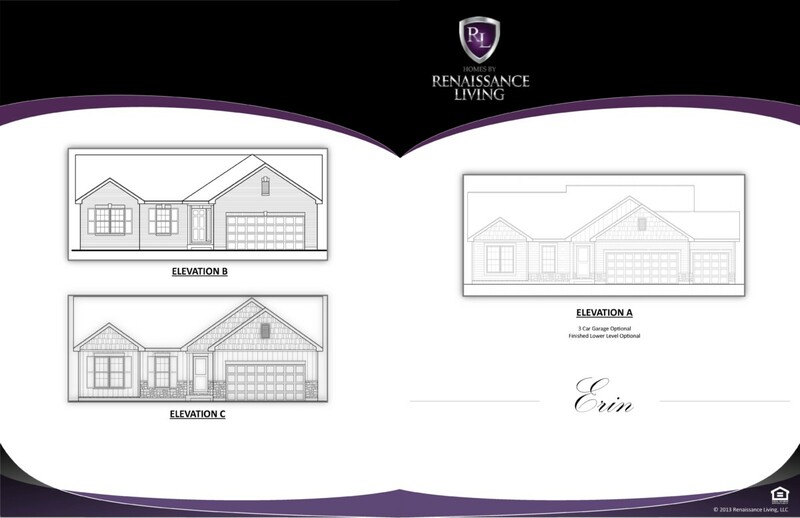 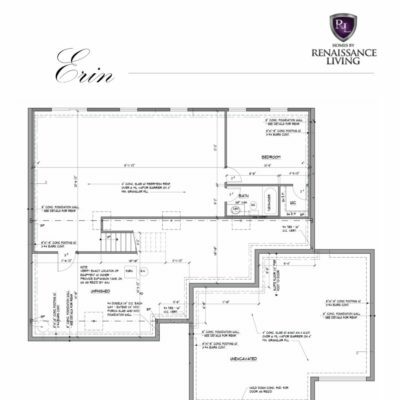 One of our most flexible plans, we offer this ranch in a 3 bedroom size, a 4 bedroom size and an expanded 4-bedroom size. 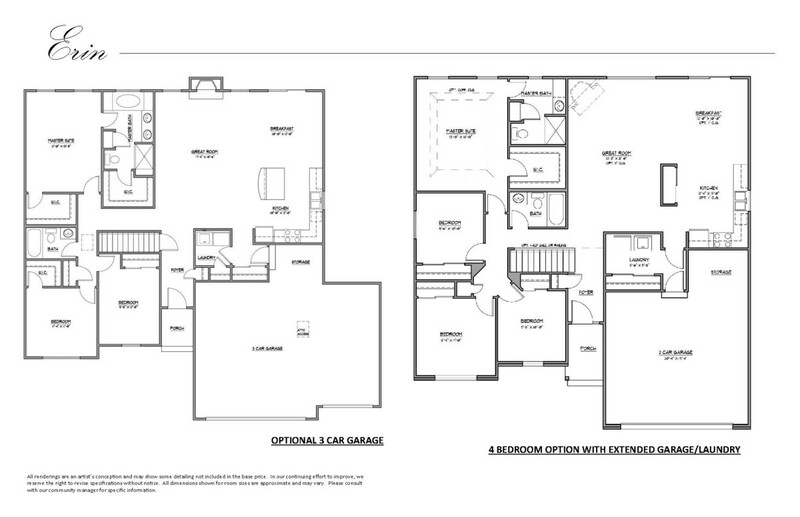 Each bump up includes a bit more living space. 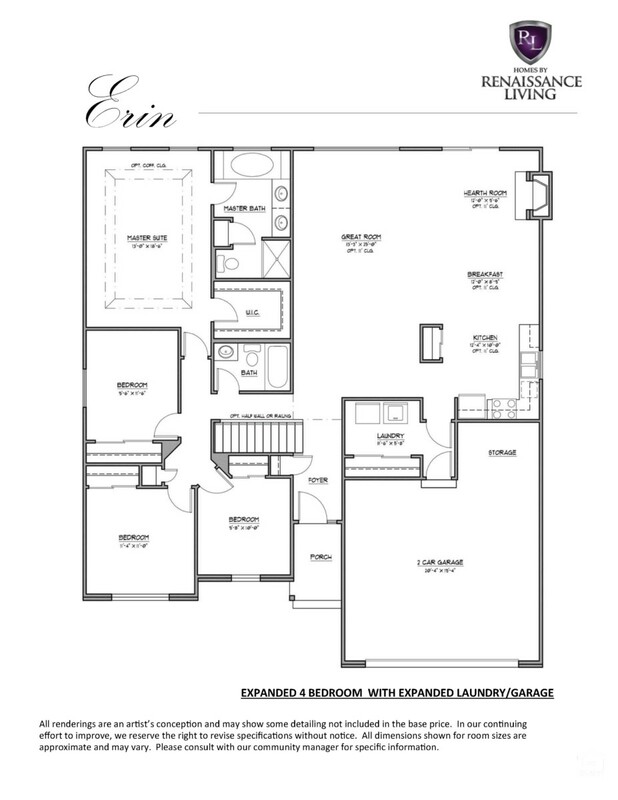 Each includes an open kitchen, breakfast room and great room, and main floor laundry. 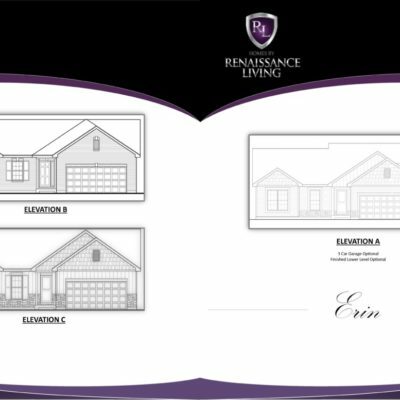 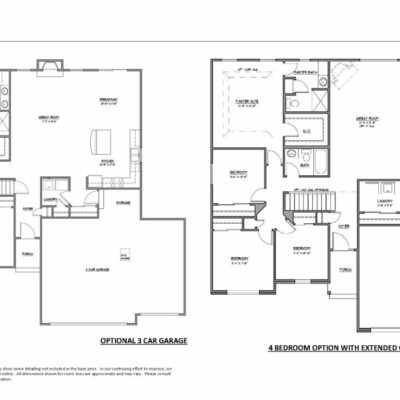 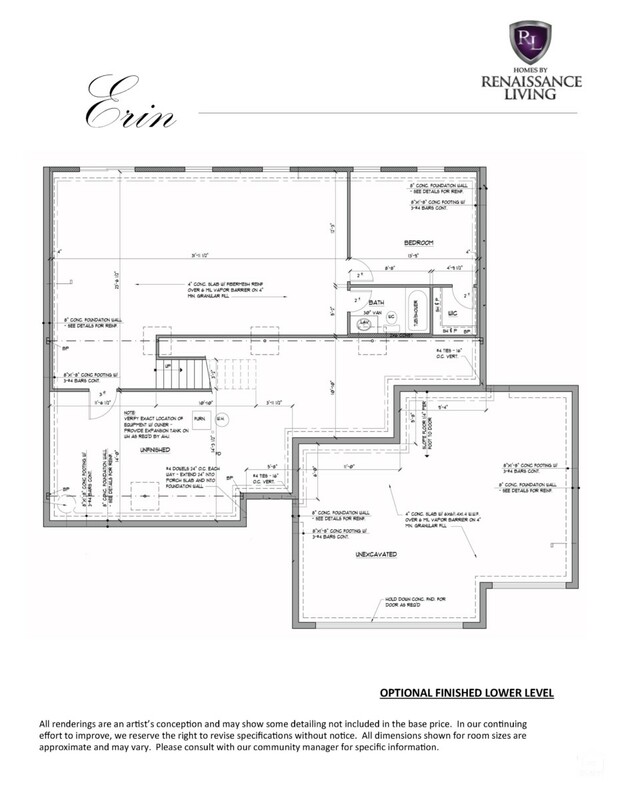 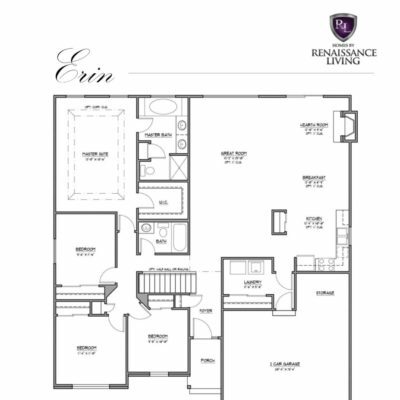 The expanded 4-bedroom plan also includes a hearth room, as well as a larger master bedroom and luxury master bath with separate tub and shower.